Pisa celebrates New Years’eve on 25th March, it is called “Capodanno Pisano”. Capodanno Pisano was been active from 1200 to 1749, untill Francesco Stefano di Lorena on 20th November 1749 abolished it. In 80s thanks to a citizen’s passion and patience, the tradition forgotten for centuries has been restored. 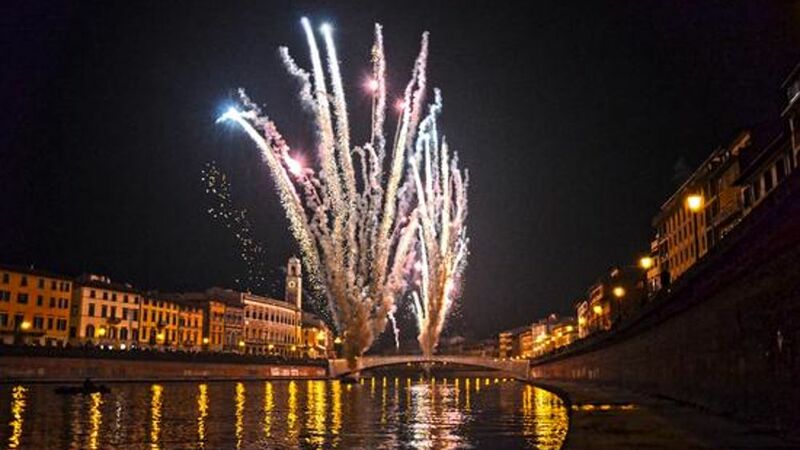 In 2000 the celebration’s organisation has been assigned to the municipality of Pisa and from that year Capodanno Pisano is more and more expected and celebrated with many cultural events and typical dishes in the restaurants around the city. Saturday 25th March: from 10am, in piazza dei Cavalieri there will be the celebrations for Capodanno Pisano with an historical parade and performances of commemoration. At 12 pm new year’s announce and the parachutists’ throwing with Pisa’s flags. Sunday 26th March: Exhibition ‘Luminara e Gioco del Ponte. Il dietro le quinte: persone, oggetti e lavoro‘ at Fortilizio and Torre Guelfa. It will be the occasion to rediscover an important place for the town. Monday 27th March: Fireworks along Lungarni. The event is an occasion not just to promote Pisa in the world, but to rediscover it also at the citizens. A manifestation in which culture, tourism and history are mixed to offer to tourists a lot of opportunities.